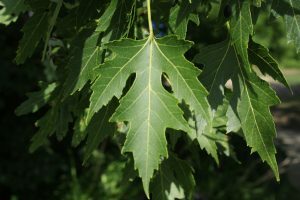 An excellent maple species for moist areas. Naturally found along streams and lakes. Drought and salt tolerant. Fast growing but is known to be more brittle than its slower growing maple family members. Pronounced, deep cuts in five-lobed leaves.